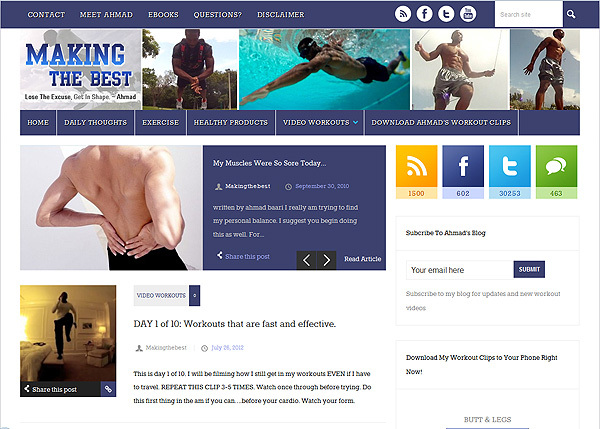 Ahmad Baari is a fitness trainer, blogger, and youtube video trainer. I customized, and designed a smart, ultra hip, WordPress blog site that will highlight his videos, and daily fitness tips. It’s fully flexible , responsive theme (it works great on iPad) and has a built ratings and review voting capabilities.